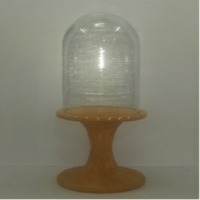 Display Stand With Cloche : Display dome. Glass/mdf/velvet Fob price of product (usd) : $ 33.95 per piece Product origin : moradabad - india Gls 20x20x30 cm base 24x24x22 cm Minimum order size and packgaing details : Glass pack in styrofoam top & bottam then in corrugated box, base polybag-corrugated carton. Both components's boxes in a master carton. Volume/cbm: 0.156 per master carton. Short on time? 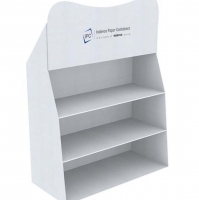 Let display-stands sellers contact you. Guangzhou Yuyi Display Products Co., Ltd.
Our display stands have decent appearance and excellent vision . 1£©material: ad board, wooden board, glasses, fire-proof wooden board, acrylic, mdf board. 2) size: we are able to produce it based on customer request. 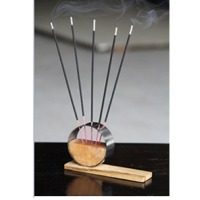 3) technology: we are able to make it not only with different kinds of materials but also one. 3 Tier Display Top Tier 1300mm x 450mm Middle Tier 1500mm x 850mm Bottom Tier 1500mm x 1050mm Overall Footprint 1500mm x 1050mm. Ideal for Centre piece display Perfect for products like T Shirts and Jeans Available in Maple Finish Flat Packed for easy Shipping . Display stands Display stands , hand made paper products, immitation jewellery, gift articles etc. 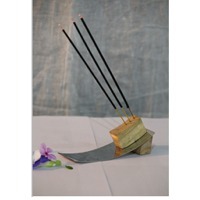 Stands are made in many different materials. All stands are tailor made as per clients requirements. Corrugated boxes. ZG-D6CMH Alarming Camera Display Stands With alarm function, this ZG-D6CMH is mainly designed for High-Theft Solutions of open merchandises such as SLR or camera or camcorder, and etc.. Secure & neat displays of these merchandises, interactions between consumers and merchandises are also realized with this product. And thus better promote sales of open merchandises. Technical parameters: 1) With alarm function 2) 13cm (standard) or customize 3) Aluminous stand, Metal stand, Remote control. When the exhibit is separate from the sensor, or the sensor is separate from the stand, or the sensor is cut, or the stand is separate from the table, it will alarm immediately. 4) Retractor (pull box) inside the stand 5) Inbuilt battery type: 3.6V/ER14250 6) Exterior power adapter: DC-6V 7) Maximum battery standby: 1 year 8) Alarm volume: 85-105DB 9) Alarm indication: red LED light twinkling 10) Tamper indication: green LED light twinkling 11) Low battery indication: red LED twinkling with a "beep" given 12) Turn on / off alarm: sound & light indication 13) Alarm switch: Remote control. 14) Adhesive base: T-shaped metal mounting base. (If required, please make statement before ordering) 15) Shell material: ABS & aluminous stand. 36 sets per carton.